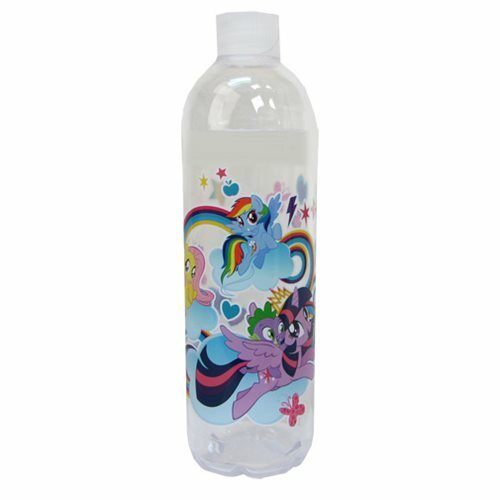 Take your friends from My Little Pony: Friendship is Magic along for the ride and stay hydrated with this cool MLP: Friendship is Magic Acrylic Twist Top Water Bottle. It measures 10-inches tall and holds 22 ounces. Hand wash only. Not dishwasher safe. Do not microwave.